Puffin is a boy who is not exactly real – but nor is he a lie, just something in between the two. This is the story of him and his adventures on his journey to the real world after years of dreaming about it in his sleep. home tree to try to fix what he has started. When searching for his way back , Puffin meets a mechanical girl called T23. With her blue skin and white hair, she is as alluring and beautiful as the sky at night, and equally avoid of human feelings. But Puffin is already in love. T23 dreams of becoming a real girl with feelings of her own and she joins Puffin on his journey. Puffin is determined to help her as well as to save the world from the madness of his mother. 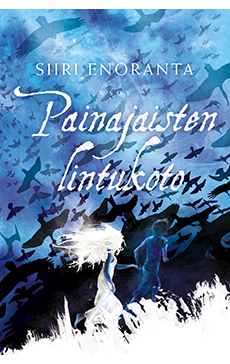 Siiri Enoranta’s style of writing is as alluring and beautifully unique as Puffin’s new love, T23. The vibrant portrayal of nature creates an essential element in the oppressive yet magical mood in this dreamlike work of fantasy.